The busier I am, The more I want to go for a walk for some reason. 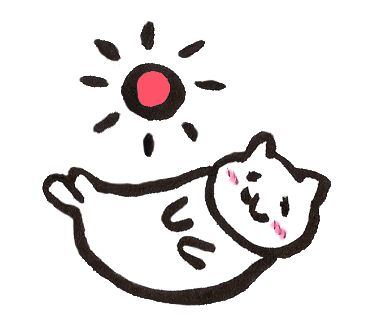 “Sanpo” means taking a walk. I love doing it. 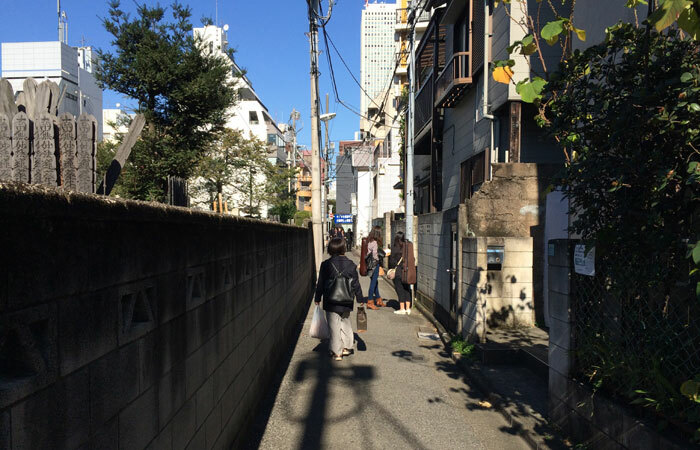 The streets of Tokyo is very exciting to walk. I can find old and new stuff all over the place. 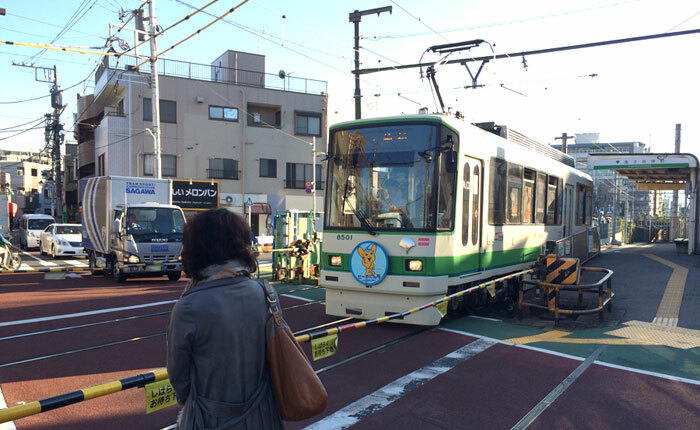 The first Sanpo of this series is from Kishibojin to Ikebukuro. I walked from a station of Toden Arakawasen (old style streetcar) to Sakura hotel (affordable hotel for tourists) in Ikebukuro. It took about 40 minutes. Let’s start walking from here. I live near this station. Toden Arakawasen is cute for me. It’s like a tram. 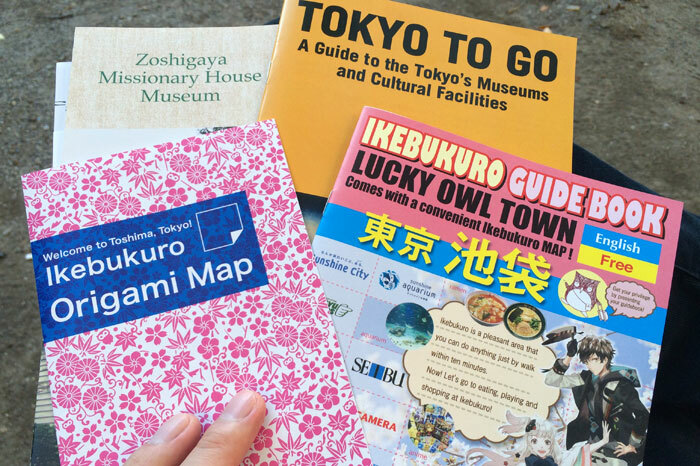 You can get a map of Zoshigaya and Ikebukuro here. There is a rental box in the place. People sell their products in each small box. 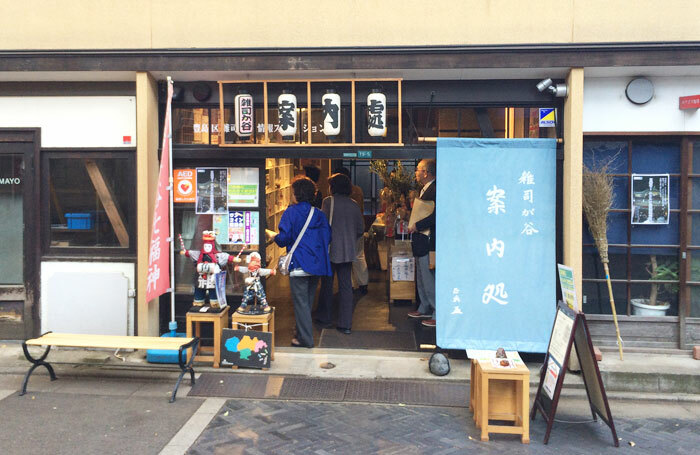 You can even find local Sake. There are a few maps written in English. 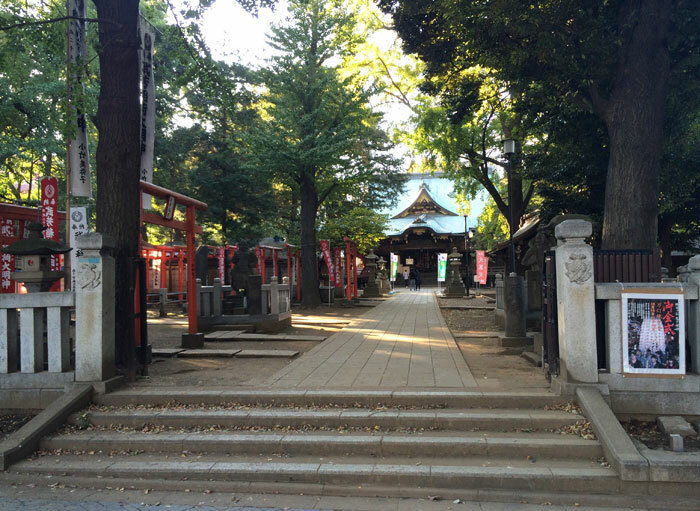 Kisibojin is a shrine for praying for having an easy and safe childbirth. There are so many trees. I can relax! 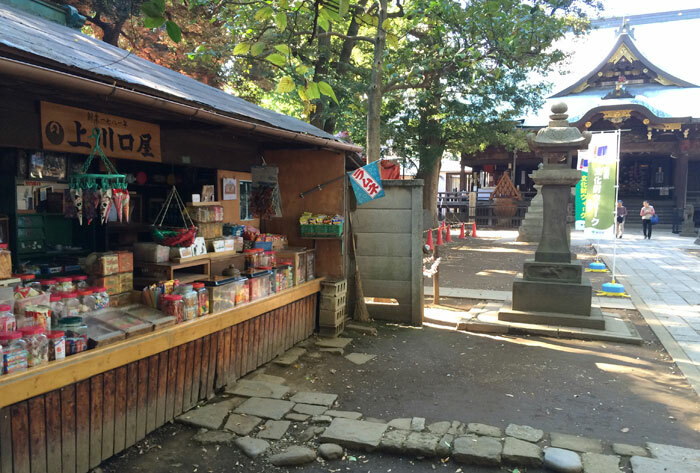 In the area of Kishibojin, there is a old traditional sweet shop which opened about 200 years ago!! 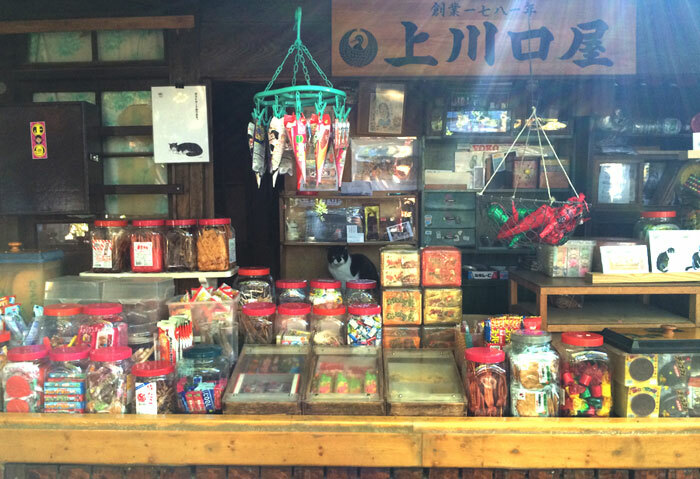 There are lots of cheap sweets. 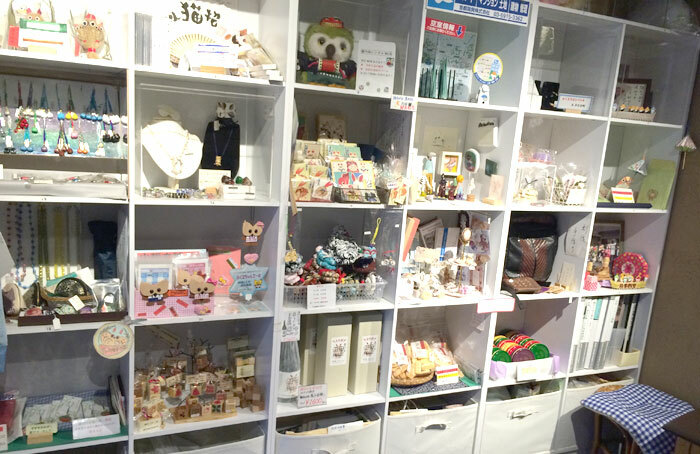 This kind of old style shop has been disappearing in Japan these days… Do you see something cute in this photo? Yeah, there is a cat here. His name is Ishimatsu. 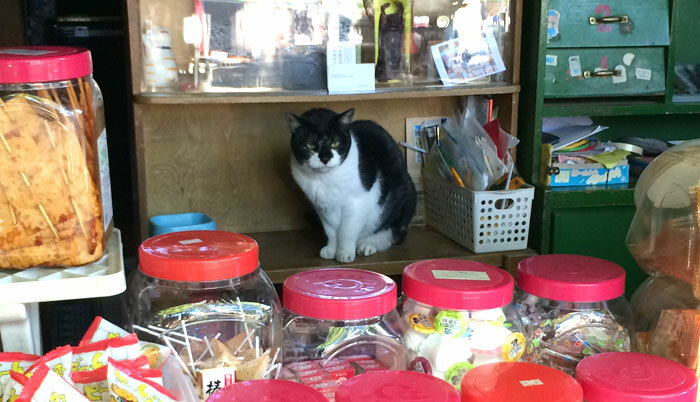 He’s almost always here like Manekineko (a cat inviting customers). I like this narrow street. A car cannot go in. I pass a lot of cute college students of music who have musical instruments! 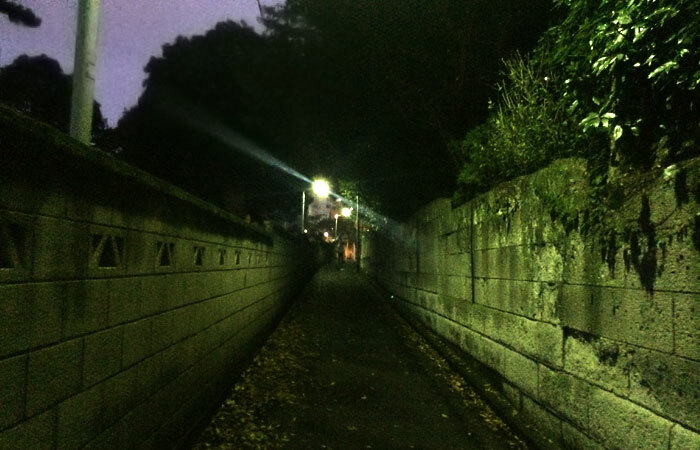 This is the picture of this road taken at night… It’s scary! I can’t walk here in the middle of the night!! 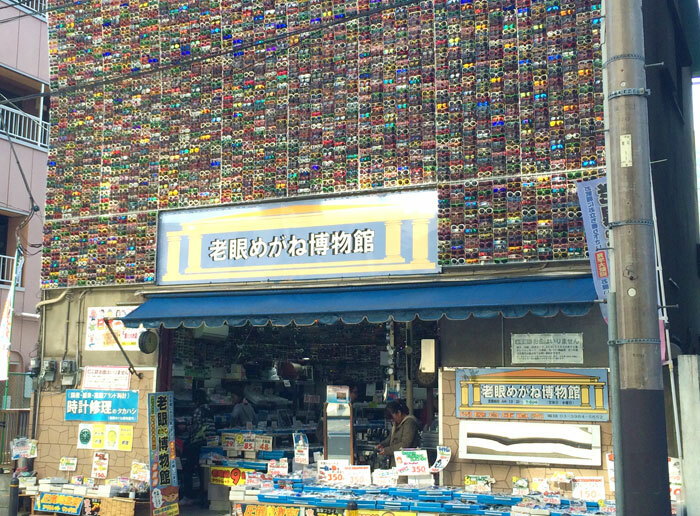 WTF… The wall of this reading glasses shop is filled with sunglasses…　The signboard says “Reading glasses museum”. 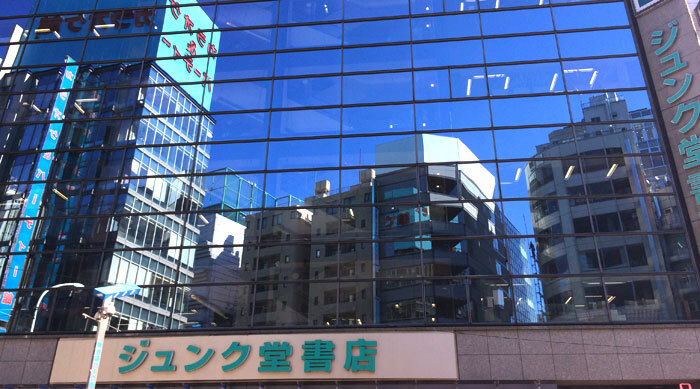 I arrived at Junkudo that is one of the biggest bookstore in Japan. The reason I love here is that I can take a seat and read all of the books to my heart’s content. When I’m free, I come here and read the books about design and English learning. There are also lots of books written in English. You can get Tokyo maps and guidebooks here on 9th floor. This is Ikebukuro west gate park which has a big space where a variety of events are held. It’s located in front of Tokyo Metropolitan Theatre. 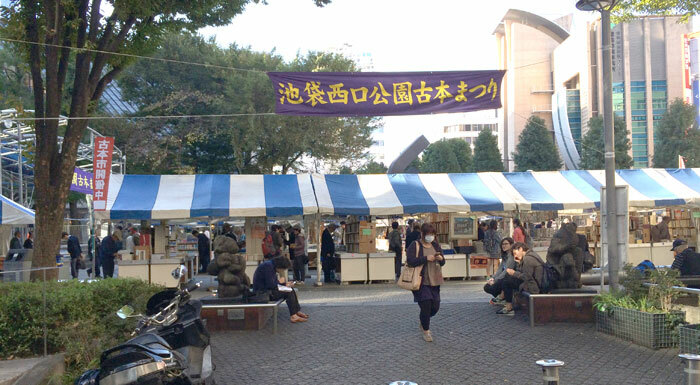 Today, secondhand book market was held! 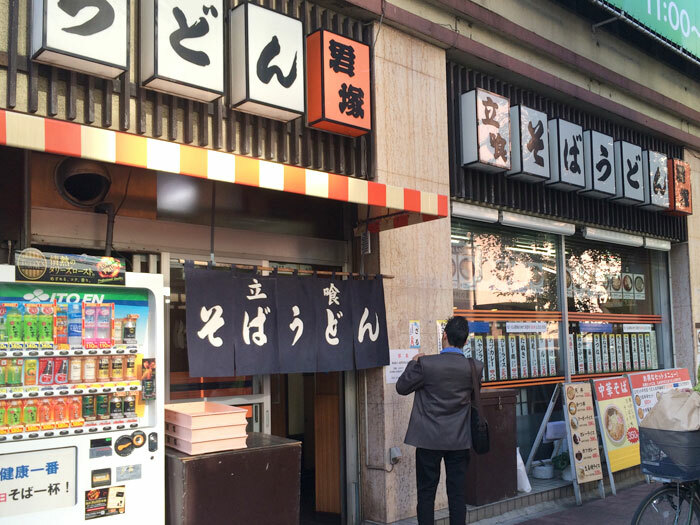 Kimiduka is a restaurant where Ramen, Soba, Udon and lots of foods are served at super cheap price! You’ll be surprised to see the price on the menu. I ate Ramen, standing. This Ramen is just 350yen! What’s more, tastes so good. We have so many types of Ramen in Japan. 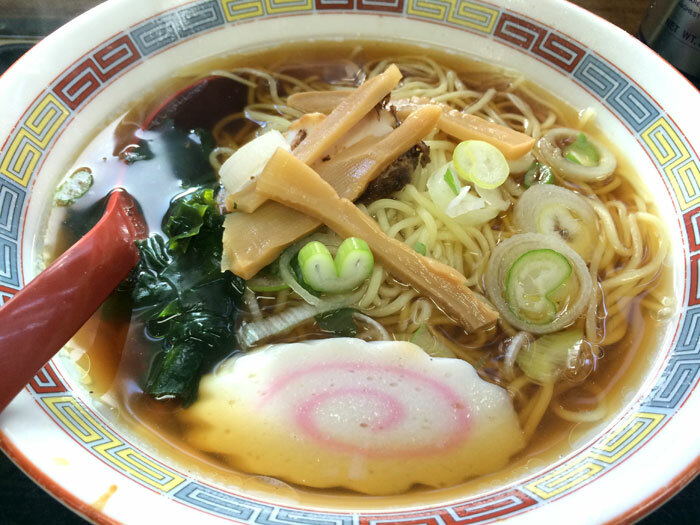 Actually, It’s a little hard to find and eat this kind of normal Ramen these days. I was very happy to happen to find here. Sakura hotel is just over there. 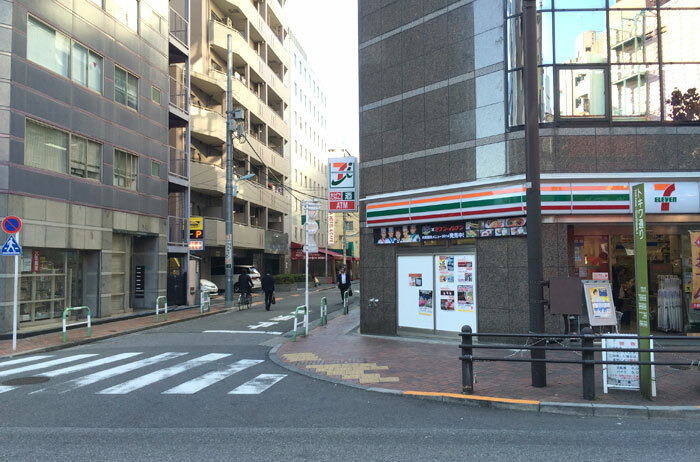 I made a right at the corner of seven-eleven. 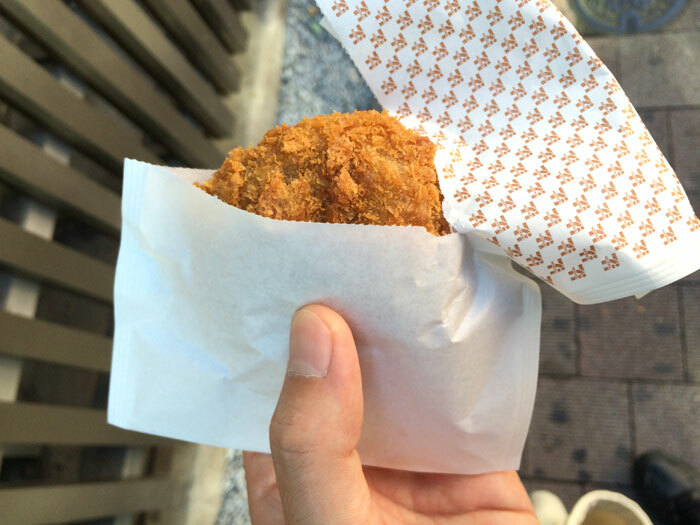 Have you tried Menti-Katsu (a fried cake of minced meat)? A long time ago, Menti-katsu was available only at meat shop. But now even convenience stores serve a delicious Menti-katsu. As I was still hungry, I bought it for 150yen. I love seven-eleven’s Menti-Katsu. 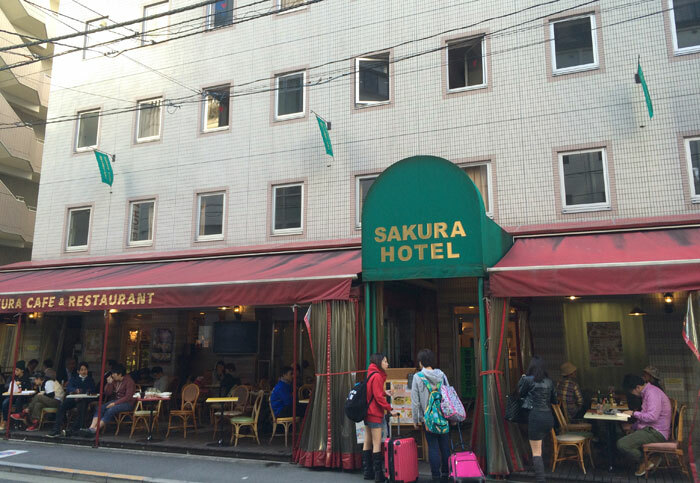 Finally, I got to Sakura hotel. Lots of people from overseas and Japanese people enjoyed their meal. 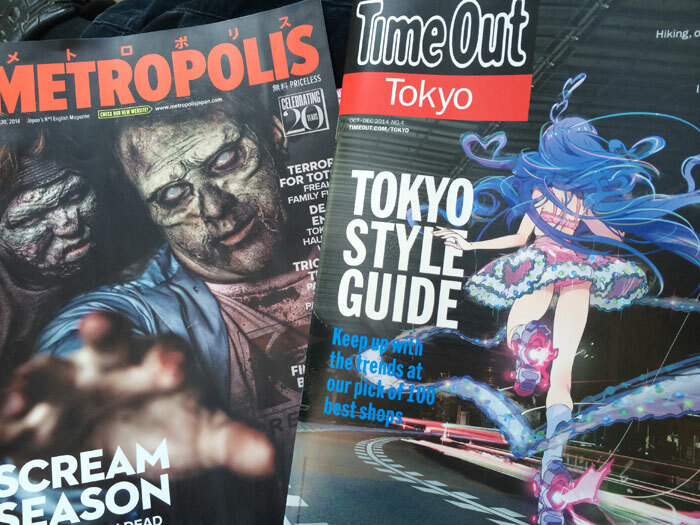 I got brochure of the hotel for my friends who are going to Japan from Korea, plus some magazines in English.